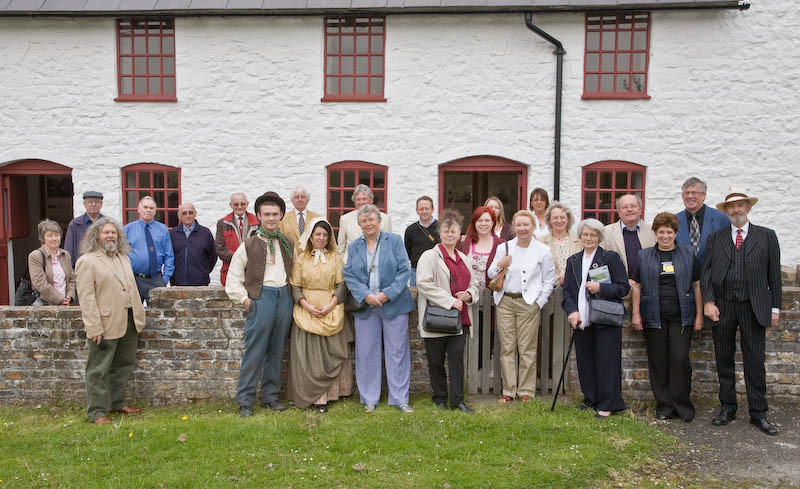 Our work at Blaenavon Ironworks (see Georgian section above) continued with the recreation of Cottage 2, Engine Row, as it may have appeared in 1841. 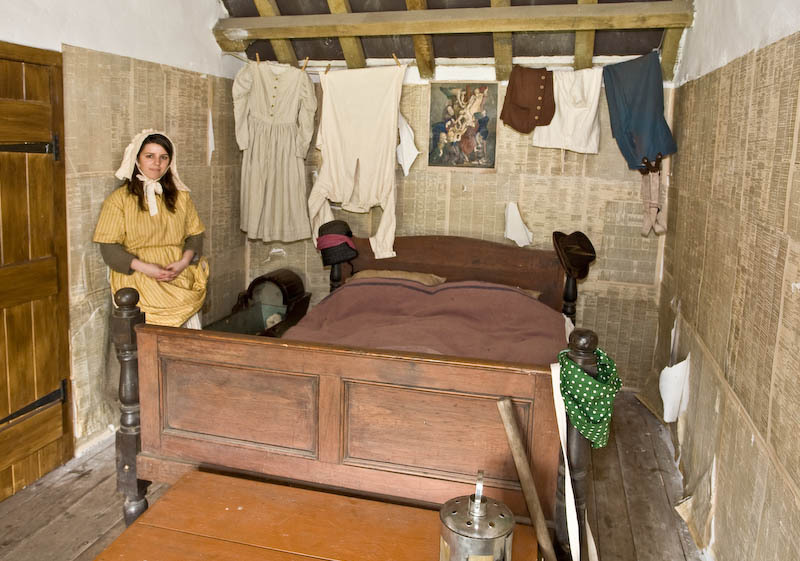 The 1841 Census records that it was then occupied by the Macarthy family of emigrants from County Cork, Ireland: four adults, four children and a baby. 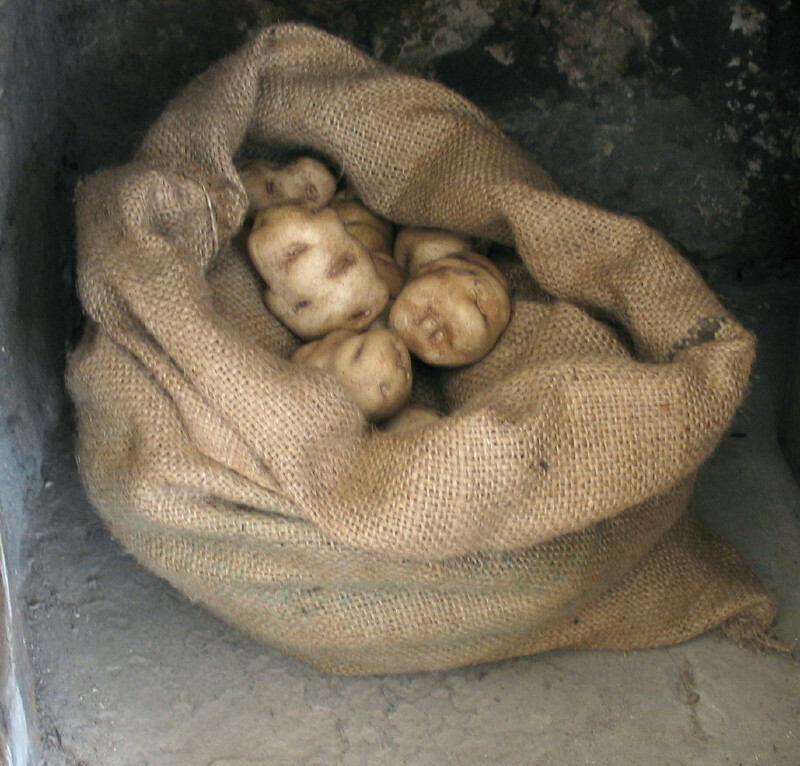 Their responses to the contemporary Royal Commission on Child Labour show that Timothy and Thomas, allegedly aged 14 and 10, were then already working with their parents at the Ironworks. Here we faced the difficult challenge of representing extreme poverty. 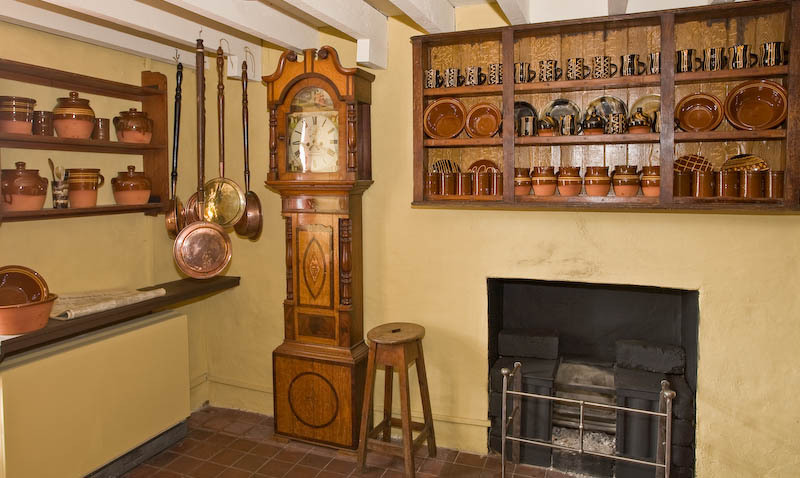 The cottage's main room is shown as on 'washday', and furnished with basic furniture, including an antique West of Ireland dresser painted in bright colours. 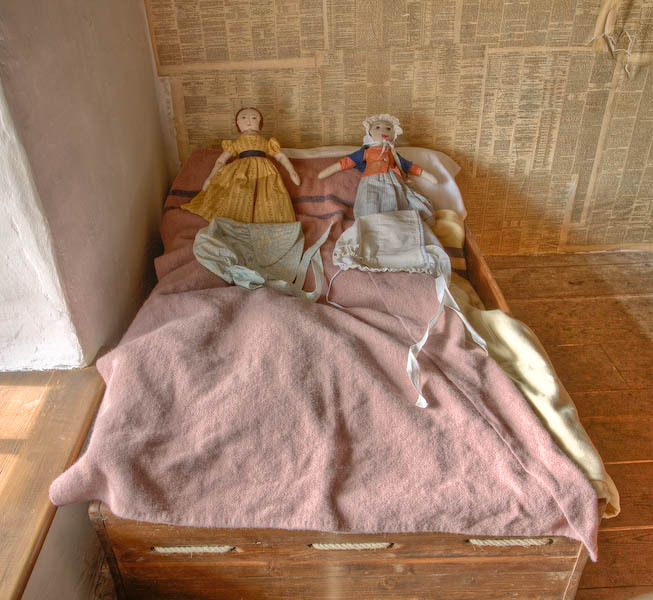 Bedroom walls are 'papered' with copies of contemporary newspapers, much cheaper than commercial wallpaper: this practice is recorded in contemporary documents. 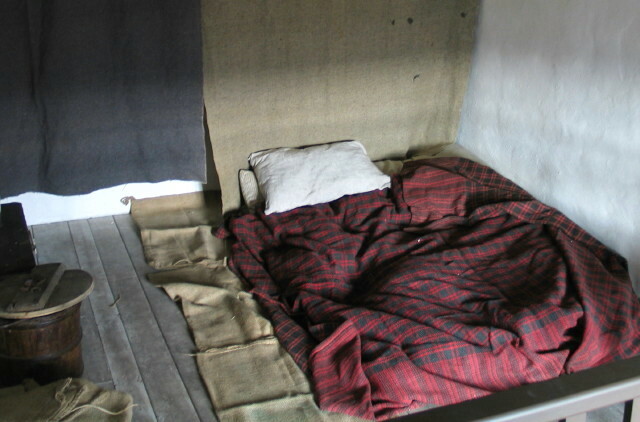 The 'boys' room' has no bed at all, just blankets resting on rush mats, copied from a surviving workhouse mattress. 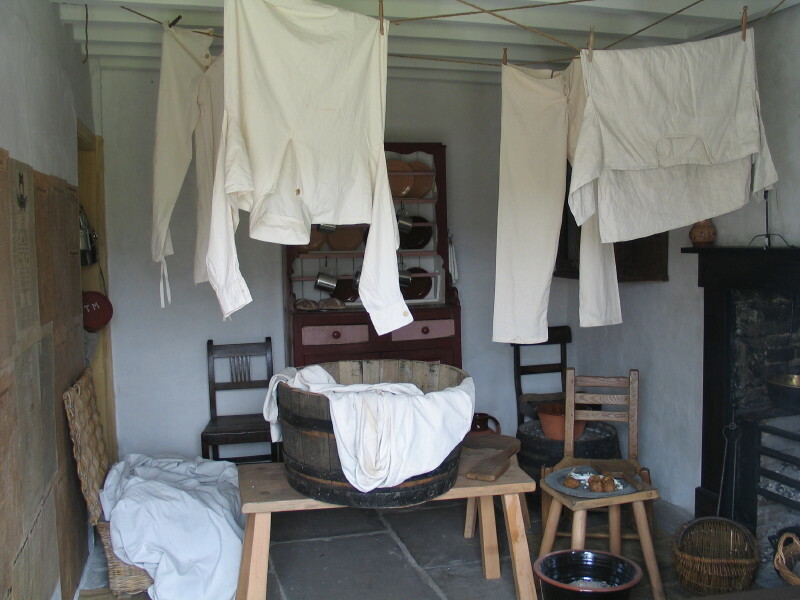 We also produced 1840s period clothes for the site staff, meticulous copies of dress depicted in contemporary paintings of Welsh industrial sites. 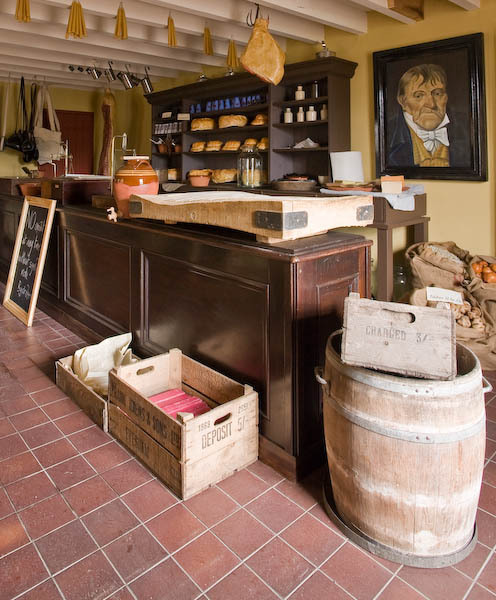 The next step was the recreation, on part of its original site, of the Blaenavon Company Shop, or 'truck shop'. 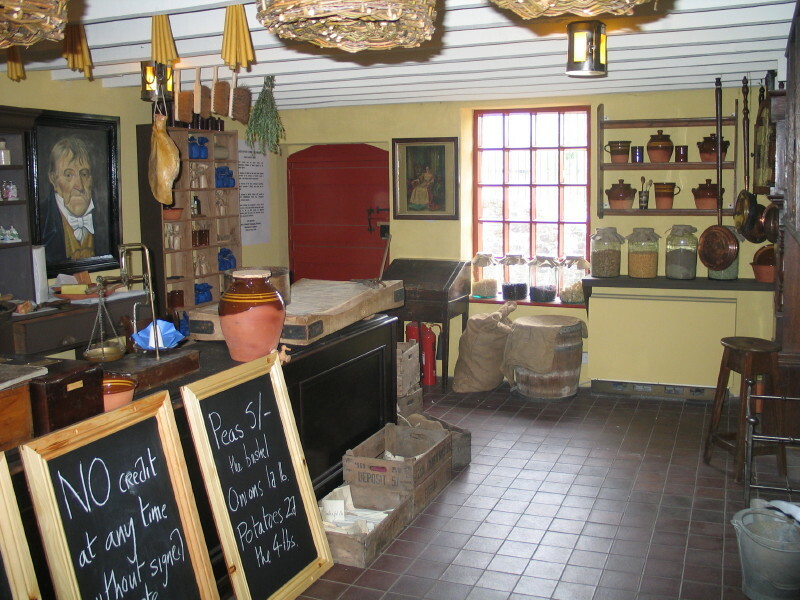 Since the Ironworks was originally established in virtually uninhabited moorland, this shop was essential to the new community. 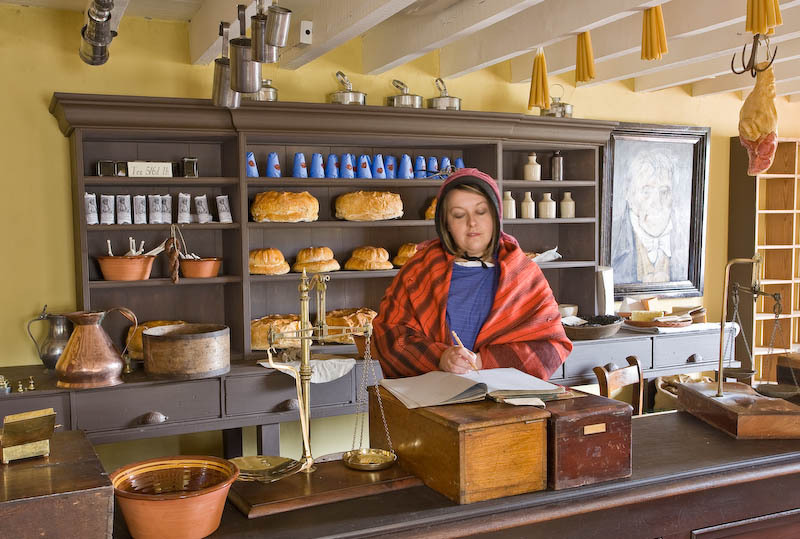 Drawing on contemporary shop accounts (and on the memories of the elderly grandson of the last shop manager) we stocked the shop with a very wide range of replica c.1840 merchandise, from soap, candles, tin ware and sweets to replicated Buckley and Ewenny pottery, lanterns and warming-pans. The portrait copies a painting of Thomas Hill, founder of the Ironworks. 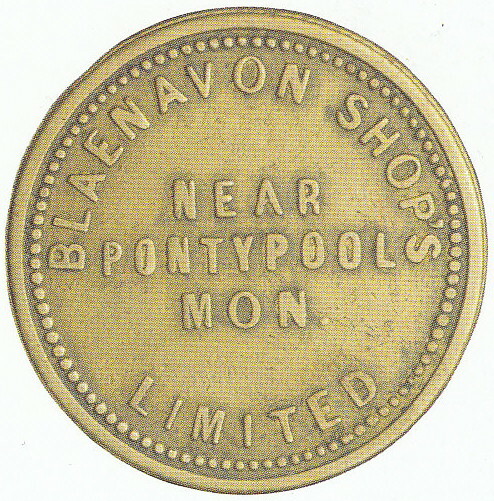 The shop has proved especially popular with schools visitors: children received copies of an original Victorian Blaenavon Shop token, or 'dib', also produced by us.